We design our itineraries to balance sightseeing and free time while neglecting tourist traps. 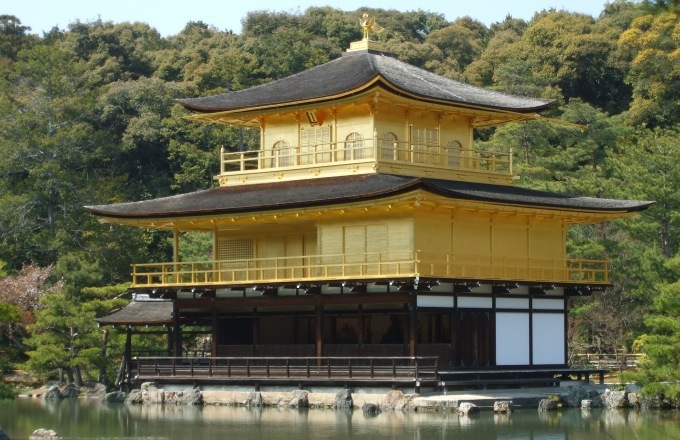 In this tour, you will explore Tokyo, Kamakura, Atami, Hakone, Osaka, Kobe, Nara, & Kyoto. On this trip, you will have a chance to taste Japanese delicacies, including Kobe beef, Shabu Shabu, Kamameshi, Yakiniku, Sashimi, and traditional Kaiseki banquet dinner. "Yokoso" or "Welcome" to Japan! A Super Value Tours Representative will meet you at the arrival gate and bring you to the hotel. Airport transfer is available for flights arriving between 12:30-7:15pm. If you arrive early, take the rest of the day to rest up. Or, if you’re up for it, do some shopping at the local Aeon Mall. Tokyo Bay Aqua Line: Travel through Japan's cutting-edge tunnel that submerges under the Tokyo Bay. Emerge from the tunnel onto Umihotaru, an artificial island, known for its stunning views and fun local shops. Kamakura: Discover Kamakura's treasures as you rickshaw through Japan's first shogunate capital. Wakamiya Oji: Leisurely stroll down one of the best 100 streets in Japan. Famous for the Sakura Tunnel, it is simply magnificent during Cherry Blossom season. Hachimangu Shrine: Pay respects at the most important Shinto shrine in Kamakura. Komachi Dori: Freely explore the charming alleys to shop for unique souvenirs and indulge in local eateries. Finish the day with a true cultural experience at the Ryokan Hotel hot spring in the city of Atami. Dress in Yukata robes and enjoy a traditional Kaiseki dinner and Karaoke. Free time: Take the morning to relax or enjoy an optional seaside walk in the Atami gardens overlooking the ocean. Lake Saiko: Visit the most unspoiled of the Fuji Five Lakes. Iyashi no Sato Healing Village: In good weather, see views of Mt. Fuji set against a beautiful backdrop of traditional thatched roof houses. In the Healing Village, you may also dress in a traditional yukata robe or samurai armor (fee not included) for a fun and unique photo op! Shibuya: Stroll across one of Tokyo’s most iconic cityscapes and see the famous Hachiko statue. Harajuku: Explore one of Tokyo's famous neighborhoods, known as a center for youth fashion and culture. Free time: Relax in the morning or take a walk to the Niju-bashi or "double bridge." Imperial Palace: Stroll through the East Garden of the Imperial Palace for a better understanding of Japanese history and culture. Tokyo Mizube Line: Cruise down Sumida River on a water bus. Along the way, take in a spectacular view of the Tokyo Skytree. Asakusa: Free time to explore this vivacious old Edo district filled with unique Japanese delicacies. Don't forget to see the famous Senso-ji temple, Tokyo's oldest and most festive temple. Ride the local tram to Tokyo Skytree from the Tobu Asakusa Station. Tokyo Skytree: Enjoy VIP access to the observation deck on the 350th floor. Get a bird's eye view of the entire Kanto region from the world's highest stand-alone communication tower. Ginza District: Explore Tokyo's most dynamic and famous shopping, dinning, and entertainment center. Dinner is not included tonight so you may take advantage of unlimited dining options in the area. If you would like to explore other areas of Tokyo such as Shibuya or Shinjuku on your own, your guide can always help with directions and recommendations. Kyoto: See the best of Kyoto! Explore old alleyways of Sannenzaka and Ninenzaka and climb to the top of Kiyomizu temple for a spectacular view of Kyoto. Nijo Castle: Relive the days of the Shogunate in Nijo Castle. Participate in Yuzen- traditional stencil dyeing. Journey off the beaten path and explore Kyoto during free time with our guide recommendations. Sagano Romantic Train: Take a scenic ride through the tranquil Hozagawa River Valley. Todaiji Temple: Stand in awe in the presence of one of Japan's largest bronze Buddha statues- Daibutsu and interact with temple deers. Nada Sake Brewery: Tour a local sake brewery, enjoy complimentary tasting while learning about traditional craft of sake brewing. Explore the seaside city of Kobe including the Meriken Park, Moto Machi, and China Town. Satisfy your taste buds by feasting on an authentic and succulent Kobe beef dinner. *Airport send off available from 9:30am-7:00pm (KIX) or 7:55am-2:45pm (ITM). Just minutes away from Narita Airport, the Hilton is one of the best in the area. Its proximity to the airport means travelers with late arrivals can rest well and avoid a long commute into the city. Its convenient location makes the ANA Crowne Plaza one of the top two hotels in the area. Its proximity to the airport means travelers with late arrivals can rest well and avoid a long commute into the city. Family-owned for generations, this ryokan (Japanese-style) hot spring hotel is dramatically set on a cliff amid the majestic Amagi Mountains and the gorgeous Sagami Sea. Marvel at the stunning sea views from your room and watch the sun rise over the ocean while soaking in an outdoor onsen. It is truly an unforgettable once in a lifetime experience. Designed by the late architect Togo Murano, the Prince Hotel Kyoto offers luxurious and spacious rooms. This hotel is uniquely-styled to blend with the natural environment and beauty of Kyoto. Hotel Nikko Osaka is a high-end hotel located in a prime area of central Osaka. The hotel faces the famous tree-lined Mido-suji Avenue, the city's main boulevard which is home to the headquarters of major corporations and the city’s main shopping and leisure district. Our inclusion of the Nikko Osaka ensures we always have easy access to fun shopping districts and the delicous restaurants Osaka is so famous for. Known as one of Osaka's best luxury hotels, the Imperial is located near Osaka Castle on the cherry tree-lined Okawa River in a relaxing, resortlike setting. Free shuttle service to Osaka Station is available as well as complimentary bikes to explore the area (10-min. ride to Osaka Castle). This luxury hotel is located in the heart of Osaka and is within walking distance to the Floating Garden Observatory. The hotel also received TripAdvisor's Certificate of Excellence 2014. Cancellation: When you cancel your reservation, the following fee will be assessed per person accordingly.